The most popular Medicare Supplement Plans in Cincinnati are the Plan F, Plan G and the Medicare Supplement Plan N. Keep reading for all the details on how to sign up for a Medicare Supplement Plan and the specific Medicare Supplements in Cincinnati Ohio. To discuss your Medicare Supplement in Cincinnati, compare rates and company comparison call us anytime at 844-528-8688. When you turn 65 or retire from your job, it is time to enroll into Medicare. You will need Medicare Part A and B before you can get Medicare Supplemental Insurance in Cincinnati. Part A - Hospitalization Insurance, it is $0.00 premium for most people. Medicare Part A has a deductible and pays 80% of the Medicare allowed amount. The Part A deductible is a per period deductible and not yearly. This is something you defiantly want covered by your Cincinnati Medicare Supplement Plan. Part B - Insurance for Doctor, outpatient, durable goods (oxygen, wheel chair) and some outpatient drugs. Part B has a monthly premium which could vary depending on your previous income. 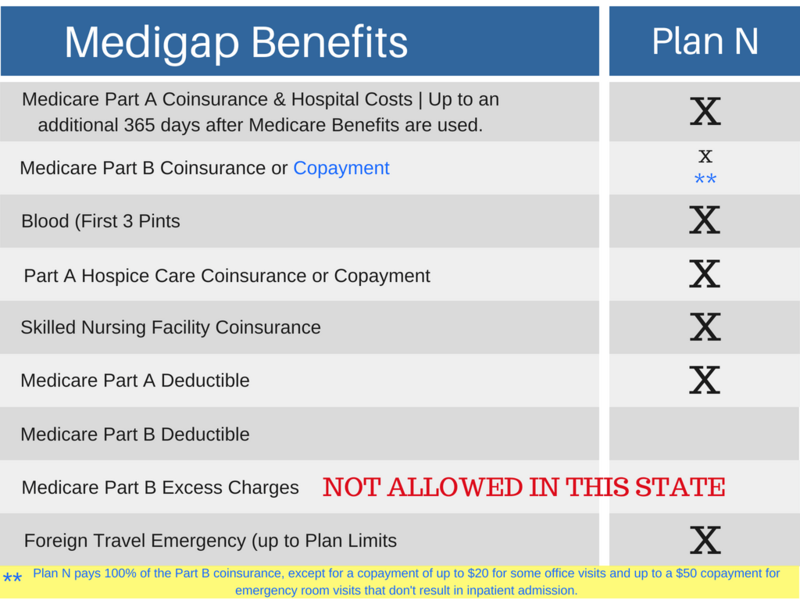 Part B has a yearly or annual deductible, this deductible we recommend you pay out of pocket to save on your Medigap Plan in Cincinnati. This deductible has been steady at $183.00 per year but can be changed at anytime by Medicare. No matter what Medicare Supplement Plan or Medicare Advantage plan you choose, you will still pay your Part B premium in addition to your plan premium. 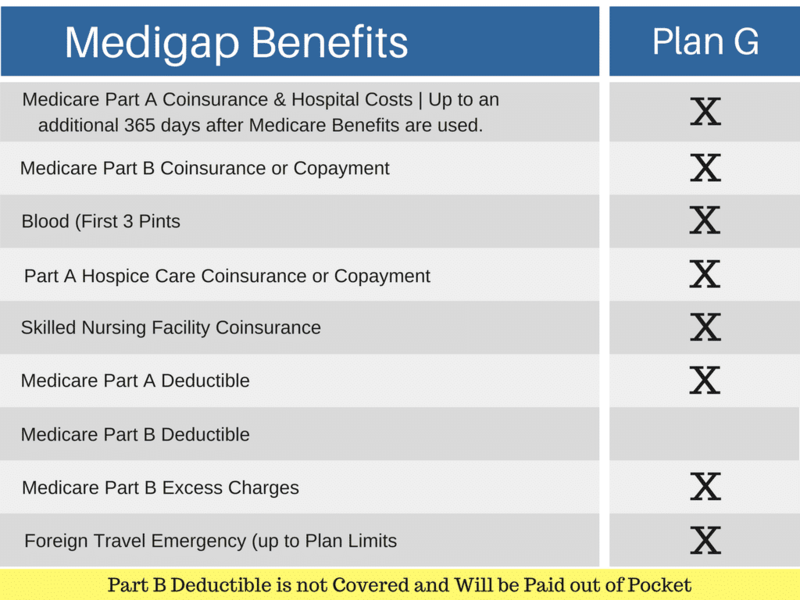 The Medicare Part B premium will need to be paid as long as you have Medicare. What is the best Medicare Supplement in Cincinnati is a question that can only be answered by you. What determines the best Medigap plan is the answers to a couple of questions. What are your needs and usage? Medicare Supplement plans are not one size fits all, there are plans that fit most people, but we really want to take a look at your specific situation and decide what plan fits you. That will be the best Medicare Supplement Plan in Cincinnati as far as you are concerned. The Medicare Supplement Plan F, has been the most popular plan for many years but it will no longer be offered for new Medicare Enrollment. If you have a Plan F you will not lose it, but there could be larger than normal rate increases for the plan with no new healthy people entering in. The Medicare Supplement Plan F is the most comprehensive plan of the 10 standardized plans, it is also the most expensive. In my opinion the cost does not make sense, you will see what I mean a little down the page. VIEW PLAN F QUOTES INSTANTLY! 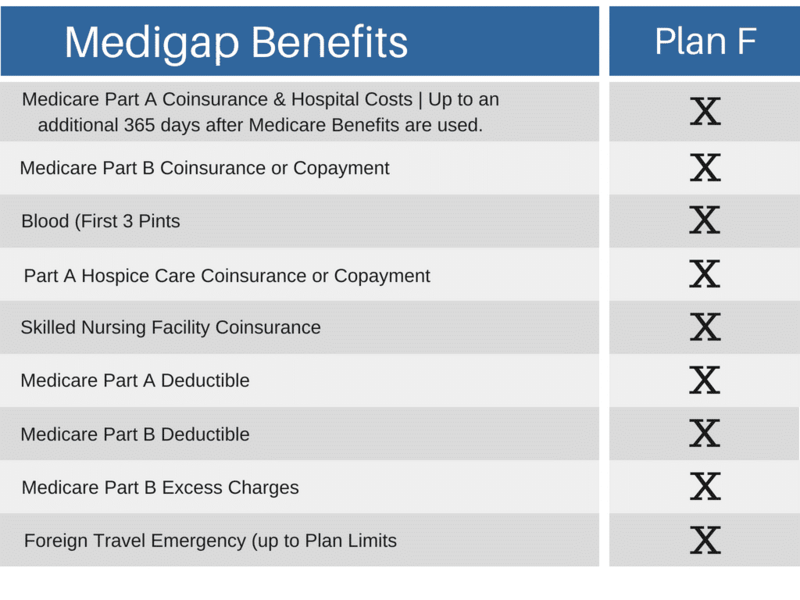 The fastest growing Medicare Supplement Plan is the Plan G. Cincinnati, Ohio Medigap Plan G has all the same benefits of the Plan F except for the Part B deductible. 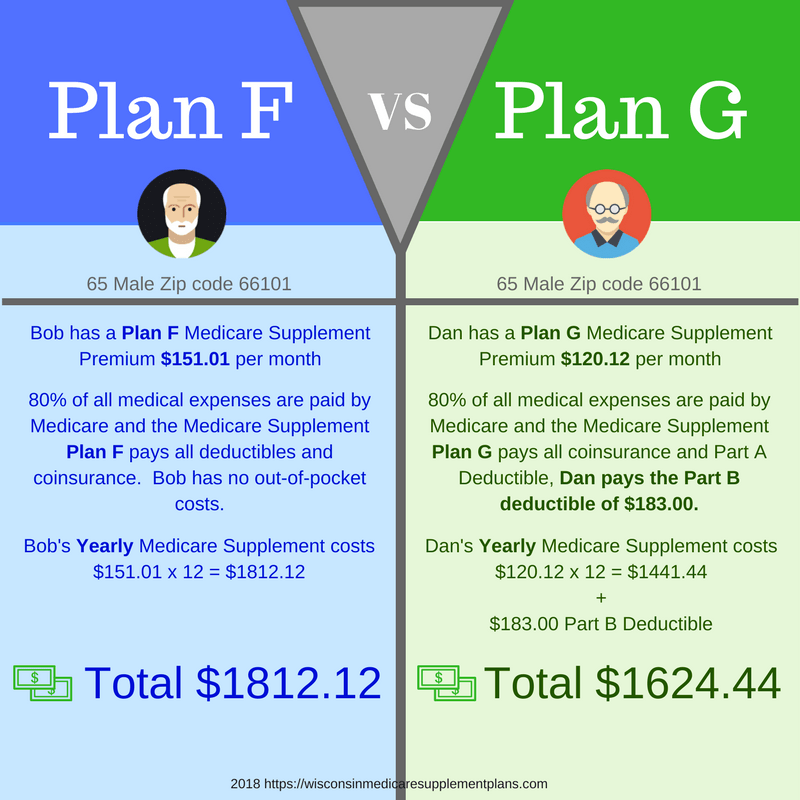 With the Plan G you will pay the Medicare Part B deductible out-of-pocket, once that very small deductible is paid, you will then have the exact benefits of the Plan F.
VIEW PLAN G QUOTES INSTANTLY! When it comes to the most benefits for your premium dollar, you need to take a look at the Medicare supplement Plan G. The premium difference for most is approximately $300.00-$400.00 per year and the only difference is the Part B annual deductible, which at this time is $183.00. See the comparison chart below. Another option that is getting popular for a Medicare Supplement Plan in Cincinnati, Ohio is the Medicare Supplement Plan N.
Plan N is the lowest cost of the three Medigap plans that we have discussed, and if you have relatively low usage (doctor visits, the Plan N could be a great fit for a Medicare Supplemental Plan in Ohio. The Medigap Plan N has a copay for the doctor and emergency room visits, also like the Plan G it does not cover the Medicare Part B deductible. The Plan N also does not cover the Part B excess charges, but that is not an issue in Ohio. Ohio is one of the eight states that do not allow the Part B excess charges. This is known as the M.O.M. law or Medicare Overcharge Measure. See our article on Part B Excess Charges HERE. The fact that you do not have to worry about the Part B Excess charges make the Medicare Supplement Plan N a very attractive choice for your Medicare Supplement in Cincinnati. VIEW PLAN N QUOTES INSTANTLY! To get your Cincinnati Medicare Medicare Supplement Plan, just dial 844-528-8688. We carry all of the top rated Medicare Supplement companies offering Medigap plans in Cincinnati, Ohio and there is never a fee for our services.